Egypt’s Pope Tawadros II made a heartfelt plea on Wednesday (20 July) on behalf of his country’s Coptic minority which has suffered in excess of 12 violent incidents in the last two months. The choice of venue for the pope’s plea is highly symbolic. Built in the early centuries of Christianity, the ancient church has been used as a place of refuge from persecution. The head of the Middle East’s largest Christian community offered a prayer asking “wisdom and a prudent mind” for his country’s officials – who have come under repeated criticism for failing to stem the tide of attacks against Christians. “I pray …for the entire Egyptian people. I pray for your children everywhere, for every home now wounded, every family which has suffered a martyr,” implored Tawadros in the midst of a smaller congregation than the thousands who usually attend his Wednesday sermons. It was there a millennium ago that Coptic tradition mentions a predecessor of Tawadros who successfully prayed for the moving of the Mount of Mokattam (meaning ‘staggered’) which still overlooks Cairo. Abram ibn Zaraa, the 62nd patriarch in the See of St. Mark (the apostle believed to have brought the Gospel to Egypt, martyred in Alexandria), led the whole Christian community in prayers at a time their very existence was at stake during the reign of the Muslim Fatimid Empire. Challenged about the words of Jesus ‘If you have faith like a mustard seed, you’d tell this mountain to move and it would obey you,” the community prayed for deliverance before the mountain is believed to have moved in a freak earthquake-like phenomenon. 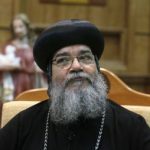 “[Pope Tawadros’s move to the Hanging Church] sends a message to the Christians of Egypt that consecutive persecution powers have come and gone, but the church of Egypt is still here,” a Christian source told WWM, requesting anonymity. 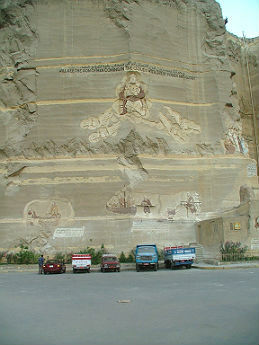 World Watch Monitor – A mural in a Coptic church commemorates the miracle of moving the Mokattam. On Monday, 18 July, the Egyptian Initiative of Personal Rights urged state institutions to enforce the law, noting 77 incidents of sectarian violence and tension in Minya governorate alone (to the south of the country) since January 25, 2011. Bishop Makarius of Minya said (7 July), Egypt was “diseased” with discrimination. Home to double the national average of 10% Christians, Makarius’s diocese has seen nearly half of the recent attacks. The EIPR “affirmed the importance of clear directives by state institutions to enforce the law in criminal incidents”. The EIPR also demanded that “immediate steps be taken to legalize the status of churches and existing church buildings where worship services are held without a permit. The law on the construction of churches and affiliated buildings, scheduled to be put to the House of Representatives, should be the subject of serious social debate”, it said. However this law on church construction has been delayed for years. 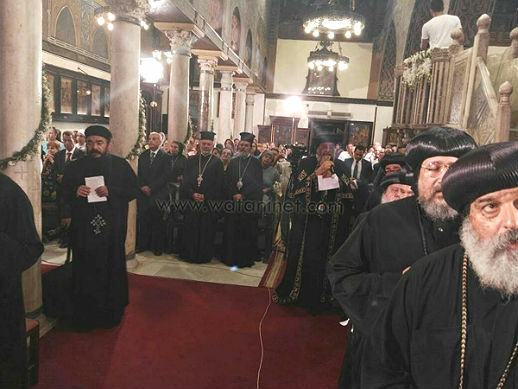 Stressing Copts’ demands for equal rights, an article by the Church’s mouthpiece magazine, al-Kiraza, called for a non-discriminatory law free from administrative intransigence and prejudice. In no less than three separate occasions, Copts were injured, and their homes looted, after rumours of a church being secretly built, an issue resulting from the lack of legal permissions for church construction. One priest was killed in north-eastern Sinai after being called an “infidel fighter” while an assault on another killed a Christian and injured three more in Minya. Two women were both stabbed in the neck 83km northeast of Cairo, and a priest’s daughter narrowly escaped slaughter outside a church 500km south of the capital.